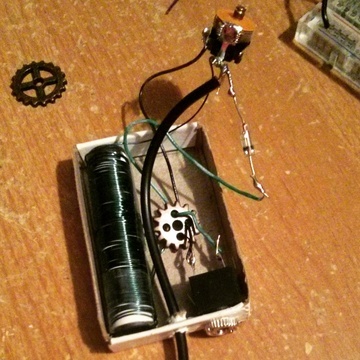 makeRF: Fun with DIY Radios, Antennas, Transmitters & More! 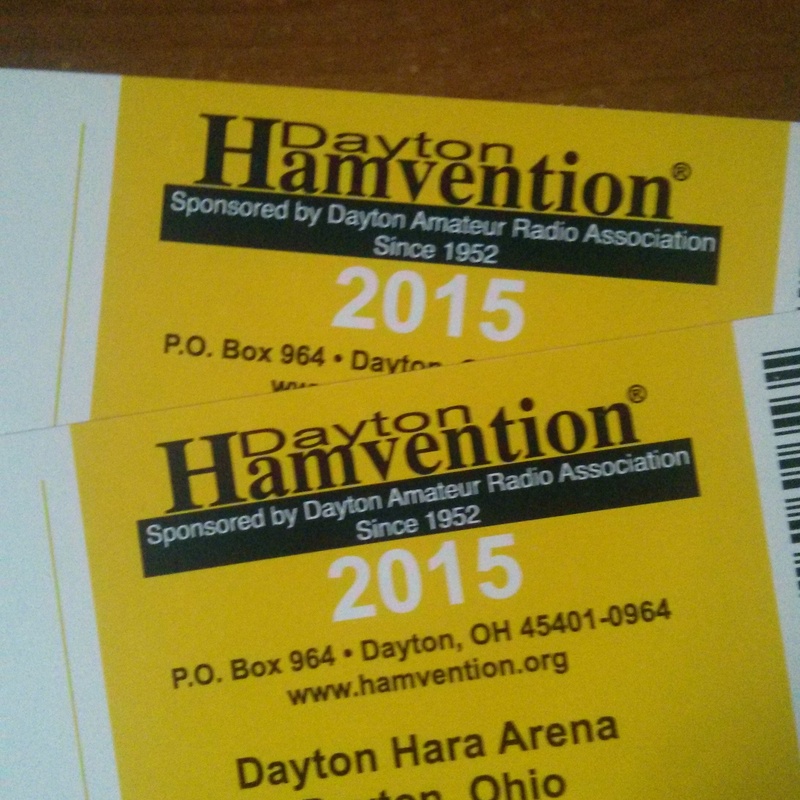 It's already been a month since the 2015 ARRL Field Day, so I better get this post up soon or else it will be old news! The the last few years I've tried to get on the air for some portion of Field Day. You can read about my 2013 and 2014 experiences on this site. Each year I try to do things a little different, and this year was no exception. For those not in the know, Field Day is an annual amateur radio event sponsored by the ARRL to encourage operators to get on the air, and make contact with as many other radio operators as possible. People participate for many different reasons. Some treat it like a contest, trying to bag the highest score possible. Others, use it to test portable or emergency operations. And, probably most people who participate just do it for casual fun. I'm usually in that last boat even though I have in the past operated on emergency power, for fun. This past weekend was the 2015 Dayton Hamvention, the biggest convention dedicated to amateur radio. I had the pleasure of attending for the first time last year and was happy to return this year. My goals were: to pick up some components for new projects, enhance my station with some new equipment, shake hands with some of the folks I met last year, and enjoy a day trip with my father. One of my friends recently had a birthday, and I got the idea to make him a simple steampunk themed matchbox radio. I'm not a steampunk expert, but I do know that devices should work without electricity. So, what better than a crystal radio? Crystal radios in their most basic form require no electrical power, and are directly powered by the radio waves floating around us. Of course, you can add a little amplification to boost performance, like in my Altoids tin crystal radio, but it's not required. 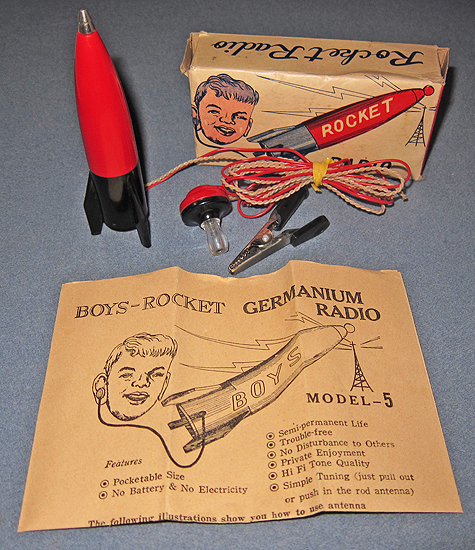 When my mom was a kid she owned a rocket radio, which was type of TRF crystal radio that was a popular kids toy in the 50's and 60's. As a kid one of my favorite past times was tuning the AM dial on my favorite radio (after bedtime); it turns out she did the same as a kid with her rocket radio, pulling in stations around the north east US corridor. You can find vintage rocket radio's on eBay, but as a Christmas present I decided to make an updated model for her using the TA7642 IC. The TA7642 is a complete AM radio receiver on a chip. 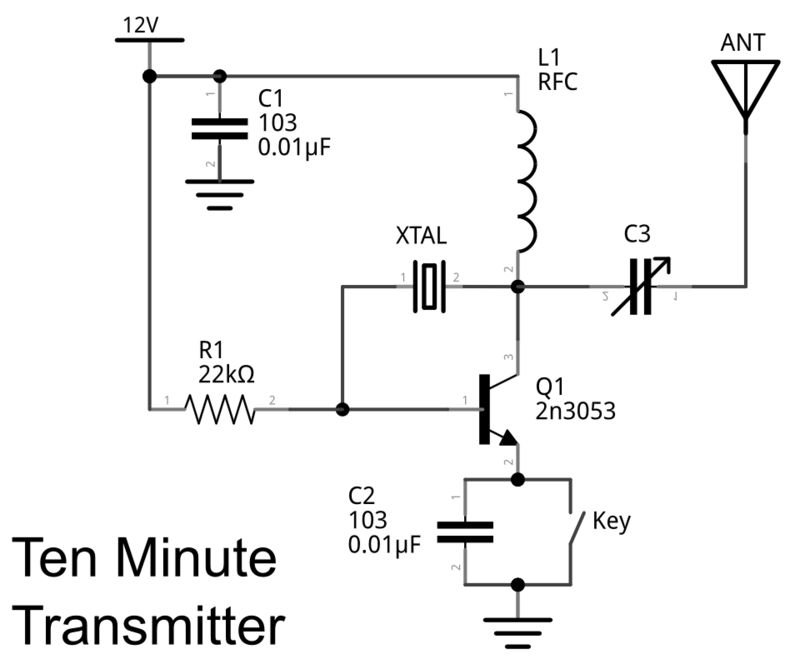 With a few extra components, you can have a fully functional TRF radio receiver in the palm of your hands. In fact, there's a whole community of people that build use these types of IC's to build matchbox radios!